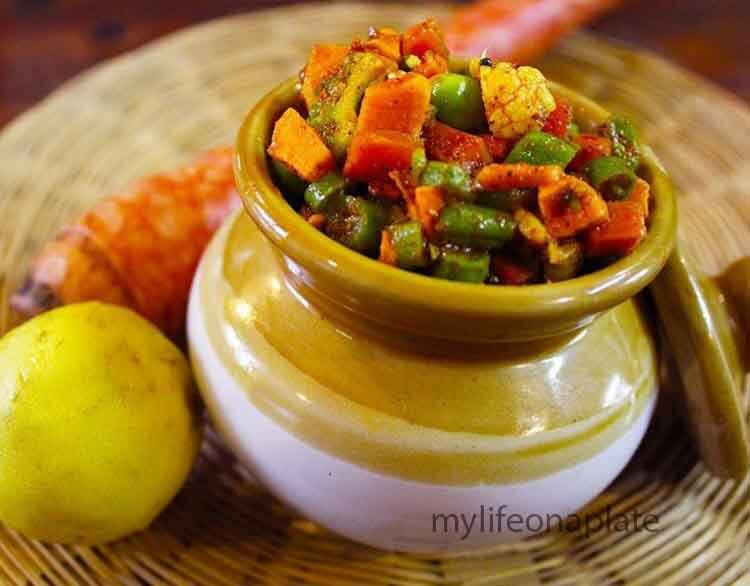 Come winter, and the heart calls for this crunchy, colourful and absolutely delicious pickle! 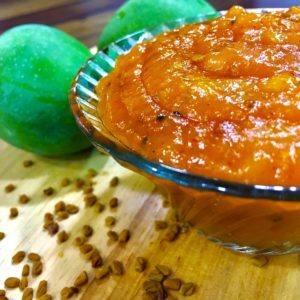 Made with raw vegetables and fresh turmeric available only in this season, this pickle has to be consumed when it is fresh. It loses its taste once the crunch is lost. So be sure to consume it within 3-4 days or at the most a week, after you make it. It stays good for a week in the refrigerator. 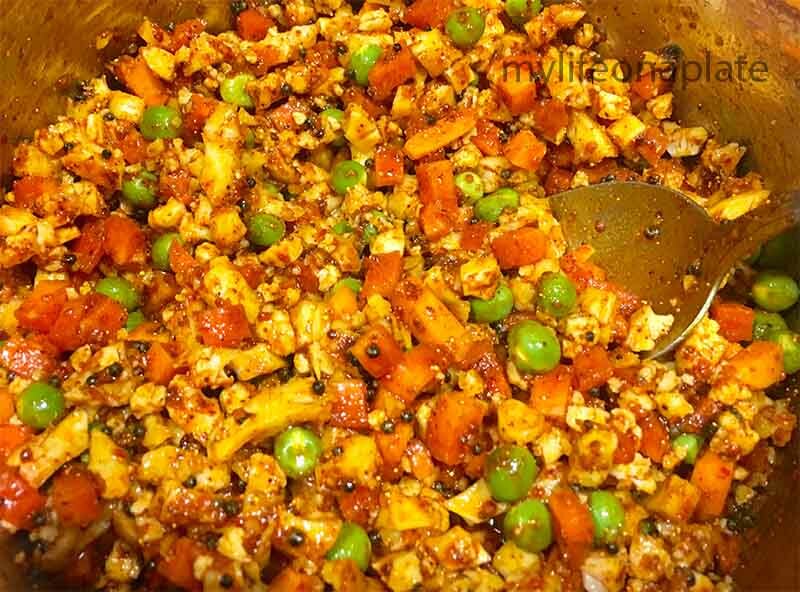 Tastes awesome with the main meal or as a side dish with pohe, upma, sweet or spicy sheera too. Dice them into tiny squares, except for the peas, which you just shell. 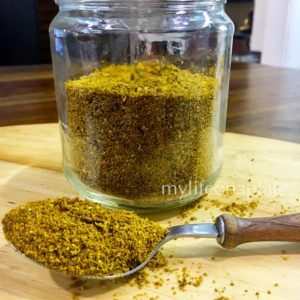 Make a tadka of the oil, mustard seeds, haldi, hing. Switch off the gas once it starts sputtering. Add in the sugar. Let it cool down. In a big bowl, take all the vegetables (you don't have to cook them, they need to be kept raw to retain their crunch). Add in the tadka, pickle masala (I used K-Pra), lemon juice and salt to taste. Mix well. Let it stay for about an hour till you serve it.